Growing up in my childhood home my dad would make scrumptious pancakes almost every Saturday morning for my sister and me. He’d make the fluffiest batter and add chocolate chips to it (because everything is better with chocolate chips!). Then he’d pour the batter onto a well-greased griddle into perfect circles, and on special occasions, into the shape of Mickey Mouse’s head. My love for pancakes is second to my love for cupcakes! Last year my hubz and I determined it was time for a change in our health and fitness (more on that another time!) and have eaten according to the cavemen for several months now (check out this great paleo cookbook with lots of easy, yummy recipes that we just got from our friend Susanna!). Since I have a special place in my heart for pancakes, my husband began his quest for the best paleo pancakes he could find. 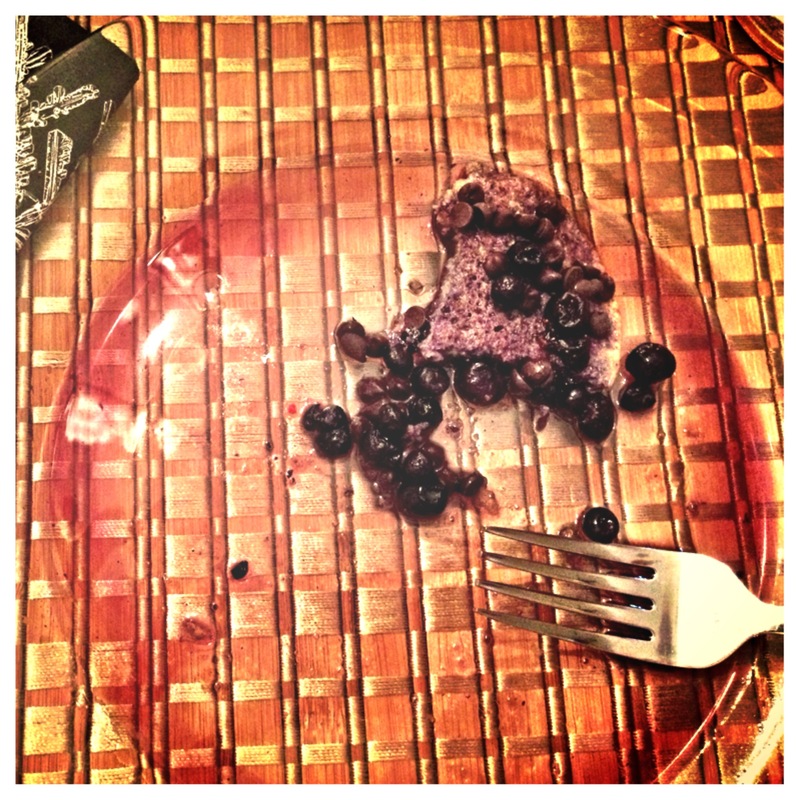 Low and behold, I was delighted at the taste of these paleo pancakes! I didn’t expect to like them as much as I do considering the Mickey Mouse version I’d grown up on (which are, needless to say, the furthest thing from grain or dairy free!). But, they have become a staple in the Waters abode, complete with maple syrup, blueberries and whatever else we can find to adorn them!